DHS has extended eligibility for Temporary Protected Status (TPS) for national of El Salvador for an additional 18 months through March 9, 2018. Nationals of El Salvador who currently have TPS status must re-register by September 6, 2016. Applicants who re-register can also apply for a new Employment Authorization Document (EAD) card with an expiration date of March 9, 2018. In recognition of the fact that most applicants will not receive their new EAD until after the listed expiration date on their current EAD, USCIS is automatically extending current EADs with an expiration date of September 9, 2016 for an additional 6 months, until March 9, 2017. Failure to re-register by September 6, 2016 might result in the loss of eligibility to extend TPS status. This extension of the designation is only for those who filed during the initial TPS registration period. Those who failed to file during the initial TPS registration period must qualify under the eligibility requirements for late initial filing. Published 7/13/16 by Ari Sauer. Submit questions to Ari Sauer – The Immigration Answer Man by emailing your question to immigrationanswerman@gmail.com. Questions submitted by email may be posted on this site, without personal information, unless the email specifically requests that we not use the question for this site. Due to the volume of questions received, not all questions submitted will be answered. Only general questions can be answered on this blog. For answers to specific questions about your situation, please schedule a consultation appointment with attorney Ari Sauer. Sending in a question by email or any other means does not create an attorney-client relationship. * This is an advertisement. 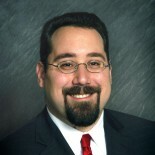 Ari Sauer is an attorney with the Siskind Susser law firm. On this blog we answer questions as a service to our readers, but we cannot assume any liability related to reliance on anything herein, and responses to questions are not intended to establish an attorney-client relationship. Immigration laws and regulations are constantly changing and the rules stated may not apply to your situation. Readers are cautioned to schedule a consultation with an immigration lawyer before acting on anything stated in this blog. This blog is not intended to substitute for a consultation with a qualified immigration law attorney. Ari Sauer is licensed to practice law through the states of Tennessee, New York and New Jersey but is eligible to assist clients from throughout the US. Certification as an Immigration Specialist is not currently available in Tennessee, New York or New Jersey. Siskind Susser limits its practice strictly to immigration law, a Federal practice area, and we do not claim expertise in the laws of states other than where our attorneys are licensed. the opinions expressed here are those of Ari Sauer and do not necessarily reflect the opinions of Siskind Susser. This entry was posted on July 13, 2016 by Immigration Lawyer Ari Sauer - The Immigration Answer Man in Temporary Protected Status, TPS and tagged EAD, El Salvador, Temporary Protected Status, TPS, Work Authorization.